Today, he is writing for the general market with three current titles and two more in the works. 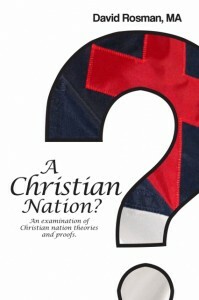 A Christian Nation? : An evaluation of Christian nation theories and proofs is a comprehensive examination of the religiosity of the United States from the Massachusetts Bay Colony to the 2012 presidential elections. To answer the question, “Was the United States founded as a Christian nation?” Subjects include: Muslims and Columbus, The Mayflower Compact, court actions, America’s two governing documents, “In God We Trust,” and more. Available at Amazon.com (Paperback and e-Book) and Barnes and Noble. 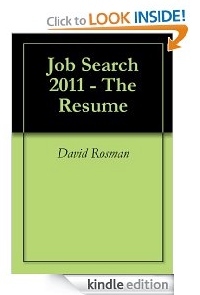 Job Search 2011 – The Resume The Resume takes a very practical look at the resume and what is does and does not do. The Clobber Passages – The biblical arguments against marriage equality The Torah and the Christian Bible (as well as the Qur’an) denounce homosexual sexual relations; that cannot be denied. Those opposed to marriage equality refer to “The Clobber Passages,” a collection of 13 biblical passages that appear to denounce homosexuality, and center around the story of Sodom and Gomorrah, Genesis 18:16 to 19:28. However, are these arguments valid biblically and legally? Availability: e-Book. Zen and the Art of Public Speaking Most public speaking popular and academic books and websites can give you a lot of general information and it is all the same. That is not what Zen is about. With over 20-years of speech communication teaching, speech writing and presentations, David provides practical ways to overcome the basic problems with giving a public presentation, starting with the most important – Breathe! Available in eBook format.